Have you heard the news yet: you can be a better freelance writer… starting today. Let me first explain what I mean by better freelance writer. Yup, I believe if you can create a powerful brand, you can grow your business and not worry about the next time you’ll get paid. And if you have these three skills, you will become a better freelance writer. So, where do you start? By becoming a better marketer. Don’t know how? My complete course Write Your Way to Your First $1k shows you step-by-step how to build your successful freelance writing biz from scratch! Check it out! I can already hear the grumbles and the curses under your breath. But I’m not a marketer. I’m a freelance writer. Don’t worry, my marketing tips are so foolproof that any new freelance writer or someone interested in becoming a freelance writer can use them and not fail. In this post, I won’t be talking about using direct marketing tactics to make it as a freelance writer, such as emailing your pitch to a few prospective clients and using social media to build awareness of your business. No. What I will be talking about is how to utilize soft marketing strategies in order to brand yourself and grow your business. Soft marketing strategies are indirect ways to attract businesses. They are easy to do and usually don’t cost you any money. So what are the steps to becoming a better freelance writer? I’ve assembled 6 foolproof marketing tips that you can start using today. You don’t have to be tech-savy or a social media maven to use these marketing tips either. 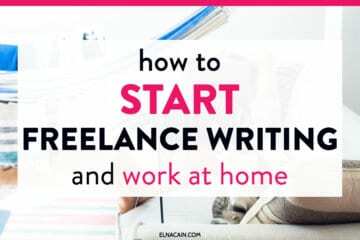 All you need is the desire, confidence and motivation to become a better freelance writer. So let’s take a look at how you can use soft marketing strategies in your business. For those of you who don’t know what a “clip” is, it’s a published article of yours that’s on someone else’s blog. They’re also called guest posts. Guest posting is by far the easiest way to gather writing samples and at the same time promote your brand and your services. You ultimately choose the topic you want to write about and pick the website you want your article published on. Sometimes you have to pitch your idea to the editor of the website of interest, but oftentimes, you can submit your whole article for review. One of the incentives of guest posting is having an author byline on your article. This short byline is usually 2-3 sentences with a link back to your website or blog. Why would I give away my writing for free? How do I make a living being a freelance writer if I keep giving my work away for free? Because guest posting can help your business grow by accessing a wider audience. How does a guest post do this? Your author byline will have a link back to your website. This is a great soft marketing strategy to alert new readers that you are a freelance writer for hire. When this happens, you drive new readers and potential clients back to your content, which can mean a new gig and a chance for your business to grow. When I have a guest post featured on a website within my niche, it brands me as an expert. You can write for more than one niche to show potential clients that you are adept at writing on a variety of topics. I write on a variety of niches including, but not limited to, parenting, career advice, health, education and lifestyle. When you include your best content in your guest posts, it brands yourself as someone who creates quality content that’s engaging and informative. Having published articles from different websites in your portfolio is much more attractive to small businesses interested in your services, than having your blog as proof of your writing ability. 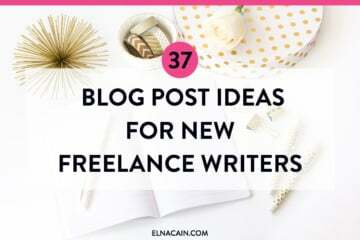 While new freelance writers are providing samples from their blog, you can provide external links to your guest posts. And if your links are to high authority websites, then it shows potential clients your credibility as a freelance writer. When a guest post of yours is approved by a high authority website, you can guarantee that more people will see it and more people will share it. I recently had Social Media Today and Psych Central, two high authority sites, publish my articles, and each of my articles already have more than 300 social shares. When your writing reaches a wider audience, there’s a great chance a potential client will see it and consider your services for their business. Okay, so I know I just mentioned what a great marketing strategy writing for others is. But now I want to switch focus and talk about writing for yourself. Now if you’re in the process of building your portfolio with external links, updating your blog can also help create more business and is actually another great soft marketing tool. I’m wasting time writing for myself and not getting paid for it. I’m here to tell you that even though you aren’t directly getting paid for blogging, you will benefit in other ways. When you provide fresh new content on your blog, search engines will index your post and start to rank you for long-tail phrases. When you rank in Google, it’s much easier for potential clients to find you. I have to constantly update my blog even when I don’t have time. As long as you provide original and engaging content to your readers, they won’t mind if you take a month off or longer because of pending work or personal issues. Stay up-to-date on social media, at least, and use that to connect to your readers. No one has viewed it anyways, so what’s the point? Trust me, people will start to read your posts and eventually comment. It just requires a bit of direct marketing tactics like sharing it across all your social media channels. And you never know, your blog could land you clients. A prospective client might land on your blog and if you have a current and updated blog, they will be more inclined to contact you for your writing services. A “hire me” tab or a byline on your posts alerting your readers that you’re a freelance writer for hire. If you don’t already know, email is the biggest social network online. Who doesn’t have an email, right? And I can bet you that you had that same email account for many years, and will continue to use that same email for many more years to come. That’s why email marketing is a huge market–not many people close email accounts or stop using their email. So, creating a newsletter for your readers can help with branding yourself as a freelance writer. How? It can help you develop a relationship with your subscribers, which in turn creates loyalty. It demonstrates your values and knowledge, while showing your personality. 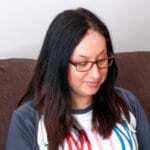 Having a newsletter for my blog gives me an opportunity to practice my writing and provide useful information that wouldn’t necessarily be on my blog. You might be wondering how often you should provide a newsletter. That’s up to you. For me, I opted to do monthly newsletters so that I can focus on a core theme and provide relevant and useful information. If you are interested in setting up an email subscription form and newsletter, The Beginner’s Guide to Starting a Newsletter and Email List, is comprehensive and useful. Who doesn’t like something free? I certainty like anything that’s free, even if I don’t need it (I can always give it to someone who does need it). One of the best marketing tips out there for bloggers and freelance writers is to create a freebie for new subscribers. It follows the reciprocity principle: if you give me your email, I will give you this free guide in return. Sharpening your marketing and writing skills. Growing your business. Once you have subscribers, you can create a connection with them and, for some, eventually market your services to them. What sort of free incentive should you give your loyal subscribers? Something that peaks their interest, solves their problem or tempts them. If you want to learn more about types of incentives, check out these two posts that I found quite useful when coming up with my free guide. Do you think social media is a big waste of time? Do you have better things to do with your time like write and pay the bills? Well, I’m going to tell you social media is a goldmine for building your business. And if that doesn’t convince you, social media skills might make the difference between a freelance writing business and a freelance writing hobby. Businesses today know they must provide better content and push social media marketing if they want to rank in Google. And they are going to look to freelance writers that have a social media presence to help them with their content needs. So, how can you use social media to expand your business? The key is to become a savvy social media marketer. Not sure how do to this? In my complete course, Write Your Way to Your First $1k, I show you how you can use social media to land high-paying clients. Learn how to navigate the big social media platforms – Twitter, Facebook, LinkedIn and Google+. Regularly update all your social media accounts. Share and tweet other people’s blog posts. Share and tweet your latest blog posts and guest posts. @Mention other writers or businesses. When you take 15 minutes a day to update your social media accounts, not only will you gain a following, but you can source future blog posts and find potential clients. Tweeting a short and causal introduction to editors on Twitter may give you the upper edge of the standard letter of introduction other freelance writers use, and potentially land a gig. If you’re new to freelance writing and you have a website and blog, I challenge you to take a hard look at your landing page and About page. Most new freelance writers knock out a website without thinking about taking advantage of this strong sales tool. Information on how you can help businesses? Think of your landing page as your business card. You want to provide the best sales copy you can to convince a person who clicked on your link, why they need you to help them. Use this approach for your About page as well. Many freelance writers don’t realize that the About page is another opportunity to tell people why they should hire you. Of course, you mention a little about yourself and how you stand out amongst other freelance writers. If you like tattoos and cats, then mention this. Or if you’re a mom of twin toddlers, use this information or any other unique qualities as a springboard as to why they should hire you. So are you ready to tackle the marketing side of freelance writing? And for those who want more marketing tips, my December issue of the Innovative Ink Newsletter offers some great ways to market yourself over the holidays. So sign up today! I certainly don’t know all the marketing tips out there, so tell me, what marketing strategies do you find to be the most effective in growing your business or scoring gigs? Elna, as always I’m very thankful for your articles. It’s very informative. Keep up the good work! Hoping to see more of your amazing articles in the future. Great advice. So awesome you’ve made it work. Just this morning I was talking to a friend about cold emailing. It’s a strategy that landed me some really well-paying gigs and my friend was really surprised it worked. You’re right when you say niche it down and sell yourself based on client needs. I write a lot of social media marketing & online marketing related content so I pitched to some local marketing agencies to see if they needed some help for their blogs. A thoughtful email later, I had scored a couple of gigs! Thank you very much for this article, Elna. I have just started my own little online freelance writing business so I have been doing some research. This is the first article that I have come across that actually makes sense. All the points are great pieces of advice and not some nonsense sentences full of keywords aimed only to sell ads. Congratulations for this amazing article. Thanks so much. My site is primarily here to help freelance writers. Although ranking in Google would be able to help me reach more people, I know that value comes first. Glad you liked this post. I have other marketing posts so be on the lookout for those! Marketing your freelance business is hard. This needs hard work and requires consistency. Hard work and consistency is the real price of success. Do not short cut you will never reach success. I made a list of marketing activities that I will start doing from today. Thanks for sharing six awesome marketing tips Elna! from the pack, in a major way! Just started with guest posting and it’s been good so far. Nice to see a new face! Yes, I believe guest posting is a great opportunity to get your name out there. There are many paid guest spots available, not just free ones. But, if you want to guest post on highly popular sites, most likely it’s unpaid. Thanks for sharing this post Elna! I do some of the things on your list but not 3 and 4.. Yet! As I do three things, which are connected yet quite different, I haven’t yet created any sort of newsletter as I wasn’t sure where to focus with the conent. However, I am launching some coached workshops in the New Year so am now looking to set up a list for those… Your link is perfect timing as I was just wondering about setting up multiple lists for different things – just as I have two blogs for different audiences, I can have more than one mailing list! Now I just have to decide between platforms. Other than the things you’ve listed above, I have found attending local networking events to be useful, as well as simply introducing myself to people I’d like to work with and keeping the conversation going. A mentor recently said ‘You are already connected to those you wish to serve’ and this really resonated – it’s true for me! So I make sure I stay connected to the communities I have already built, both online and off. Thanks for the great comment! All the marketing tips I mentioned wasn’t something I did right off the bat. I just recently launched my newsletter and freebie. That’s great that you’re going to do coaching workshops in the new year! How exciting and that’s great you will be setting up a list for that. As for the email subscription platform, I personally use Mail Chimp and it seems to be extremely easy to navigate. There are also great DIY videos and blog posts to help with any snags you might encounter. Networking events are a great pace for gathering clients. Thanks for mentioning this! My December newsletter touches a little bit about networking during the holidays. I Love what your mentor said! That does make you look at your profession differently. Thanks for sharing it! You’ve shared some amazing tips Elna. I don’t implement most of them but I should. To be honest, I’m now an editor for a bridal and wedding magazine going to be launched on Friday, so I’ve been mega busy. Plus I’ve got three blogs and I’m finding it hard to keep up with everything. It would be so much easier if I only had one to focus on. And I don’t want to give any of them up. They’re all my babies. Sad, but true! Anyway, this post is awesome. It will help me and my blogs a lot if I used your tips. I’ll try anyway. Thanks for your kind words! Congrats to being an editor for a bridal and wedding magazine! How wonderful. Is this magazine online or in print? Can’t wait to hear about it on your blog! I remember reading one of Carol Tice’s articles on Make a Living Writing, and she mentioned that if she focuses on only one client at a time, she is much more productive than focusing on a number of clients per day. As far as using my marketing tips, use what you can and don’t worry about the rest. I’m sure you’ll succeed in whatever you end up doing! Congrats again for your new gig! Thanks for your advice. I will try your tip about rotating my blog posts to keep them updated. How amazing that you’re the editor! Congrats again. Good luck! Blog like a machine! As a fellow freelancer this advice works so well, because writing more improves your freelance game. Some charge peanuts because they have zero belief in their writing skills, and this is because they don’t write frequently. I chatted with you on twitter; like you, I’m writing more weekly. My latest post was 7,000 words. Wow! Quite crazy, right? Up and away, to the eBook-sized post realm, lol! Thanks for your wonderful comment. It means so much to this up and coming freelance writer! 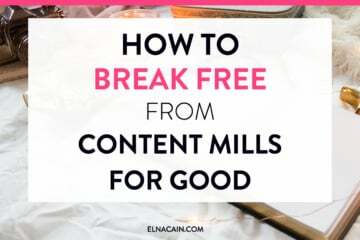 Yes, I know of content mills and how they prey on the unconfident freelance writer. Although I do have profiles on some content mills, I haven’t been on them much and I soon realized they were paying next to nothing for writing. Thanks for chatting me up on Twitter! It’s nice to have someone as big as you on the blogosphere to notice little ol’ me. I really enjoy networking with other bloggers and freelance writers. I want to have a blogging community eventually and I’ve learned a lot from big influencers online! I’m super impressed you managed to publish 10 eBooks in 4 months! I’m a mom of twin toddlers so most of my day I’m on mommy duty. I have dedicated time for my writing in the early morning, when they have their nap and when they go down for bed. I’m also lucky to get child care daily so that allows for a few more hours of writing! Confidence is the key for most writers to be successful! Keep it up and I look forward to reading your eBooks! Hi Elna – thanks so much for including a link to my blog in this excellent post! Your blog is quite lovely! You are so right about how important email marketing and building a list is – people depend so much on social media today, but social media can change. Your email list is the one thing you’ll always have. Thanks so much Kelly for your compliment! I LOVE your website! It’s very informative and helpful for WAHM’s. Please feel free to link to my blog posts! 🙂 Anyway to self-market myself, right? I learned how important email marketing is from you! You do a great job marketing your email subscription. I remember reading about it in one of your blog posts and thought, I should do that! I hope I can help other WAHM’s in freelancing that marketing is really the key to getting known in your niche and becoming an expert in your niche. Thanks for heading on over and leaving a comment! I’ll be sure to read your post! Thanks for stopping by! I’m glad you see the value in marketing. At first, I didn’t know how to market and how to really brand myself and it took a lot of trial and error to find out what works. For me, I find guest posting to be the best marketing tactic for recognition and credibility as a freelance writer. Thanks for your input! Marketing is a huge part in anyone’s business if you want to be successful. Social media does help drive that, though, and it’s much easier to do than to think of different ways to market yourself. I’m glad you found this helpful! I know I’m always looking for information on branding and marketing and thought I’m sure other freelance writers are looking as well!